The OBWB has a Board of twelve Directors with designated alternates. The three Okanagan regional districts appoint three directors each, and the Board also includes representatives from the Okanagan Nation Alliance, the Water Supply Association of BC, and the Okanagan Water Stewardship Council. 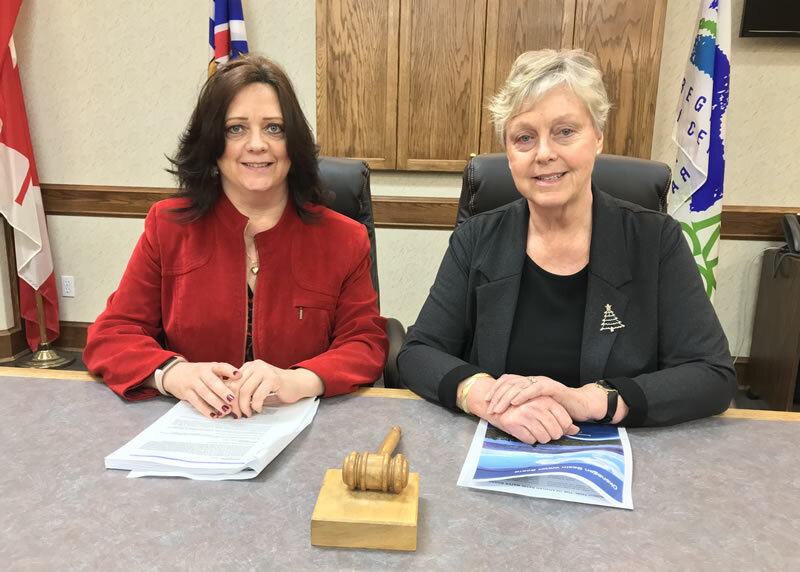 Okanagan Basin Water Board Vice-Chair Cindy Fortin, Mayor of Peachland (representing Regional District of Central Okanagan) and Chair Sue McKortoff, Mayor of Osoyoos (representing Regional District of Okanagan-Similkameen).